CLICK TO DOWNLOAD THE 2018 OVERNIGHT TOURNAMENT BROCHURE! 1. All boats must be represented at the Captain’s dinner on Sunday August 12th, 2018 at 6pm. 2. Boats must report the day they are fishing. You must do this by calling and leaving a message at (855) GET-TUNA. Please report your fishing day the morning of departure or the evening prior to departure. If fishing two single days, then you must report both individual days. Failure to report your fishing day may result in disqualification of fish weighed and releases reported. This is a Captain’s choice format with no weather committee. The crew members of each individual boat will be solely responsible for the decision as to which day to fish. The OCMTC assumes no liability or responsibility for any damage or loss. 3. Boats may leave any inlet from Manasquan inlet to Cape May inlet after 3am. Fishing times are 7am to 3:30pm on the day you are fishing and if fishing overnight, fishing times are 7am day 1 to 3:30pm day 2. If fishing two single days, fishing times are 7am to 3:30 pm each day. Weigh in is from 5:00pm to 8:00pm. Fishing boundaries are up to 125 miles from the GE Bell Buoy. 4. All Billfish must be reported to a committee boat at the time of release. Provide your boat name and number. If you cannot raise a committee boat, you must report your release to another boat fishing this tournament or call the Tournament line via sat phone (leave message) at (855) GET-TUNA. 5. Any fish hooked prior to 3:30pm may be played until boated or released, but the hookup must be reported to a committee boat prior to 3:30pm on Day 2. All boats must reach the weigh dock by 8pm. No exceptions. 6. All boats must make weigh-in from 5pm to 8pm on the day you return. All boats weighing fish must return via Great Egg Inlet directly to the weigh dock in order to qualify for prize consideration. Boats with no fish to weigh may return their release form to the weigh dock in person or via fax. Release forms must be faxed in by 8:00pm on the day you return to port including single days fished. Faxes may be sent to: (855) GET-TUNA by 8pm. 7. In the event of a tie in the Billfish release category, the winner will be the boat with the earliest time of release of the last Billfish. 8. Boated Billfish, except Swordfish, do not count for points in this Tournament. 9. Junior anglers are those 16 years of age and younger as of August 13, 2018. 10. In the event of a tie in a cash prize category the prize money will be equally divided among the tying parties. 11. VHF channel 71 is the Tournament channel. 12. Charter boats are permitted. a. State and Federal regulations apply. The Tournament is a registered recreational HMS tournament. For more information, please visit www.nmfspermits.com. b. NMFS circle hook requirements – This is a billfish tournament. Any natural bait or natural bait/artificial lure combination may only be rigged with non-offset circle hooks. J-hooks may be used on artificial lures that are not combined with natural baits. c. IGFA rules apply – no restriction on weight class of tackle. The Tournament chairman and committee retain sole authority for interpreting IGFA rules and administering any such interpretation. EXCEPTION: Spreader bars are permitted. 14. Any protests must be submitted in writing to the Tournament chairman or weigh master on the day of the alleged infraction. 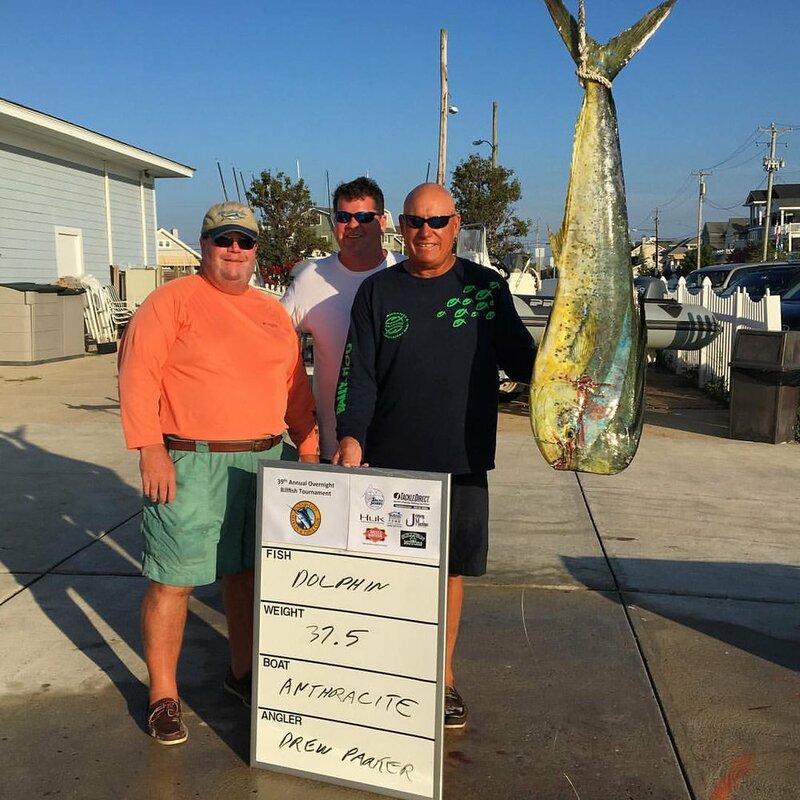 In the event of a protest, the Tournament directors will have the sole and exclusive responsibility to investigate the alleged violation with the intent to determine if the alleged violation materially aided the angler, crew, or vessel or otherwise affected the outcome of the Tournament. The chairman, co-chairman, and weigh master shall serve as judges and their decision will be final. In all cases, each registrant and their respective crew agree to be bound by the ruling of the Tournament committee. Polygraph examination may be required of any crew claiming available prizes. 15. 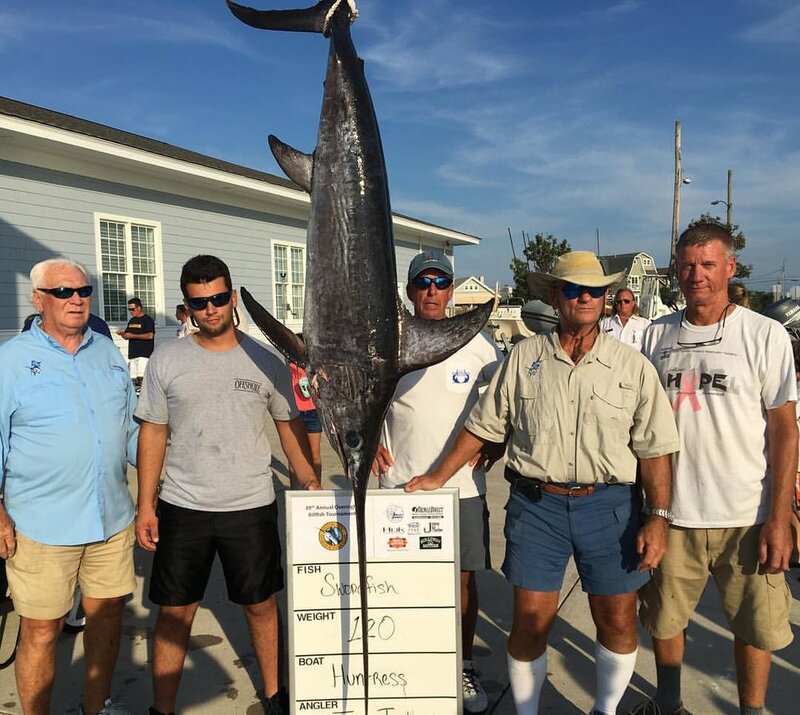 By entering this Tournament, the angler holds harmless the Ocean City Marlin & Tuna Club, its members, and Tournament directors from any and all liability.